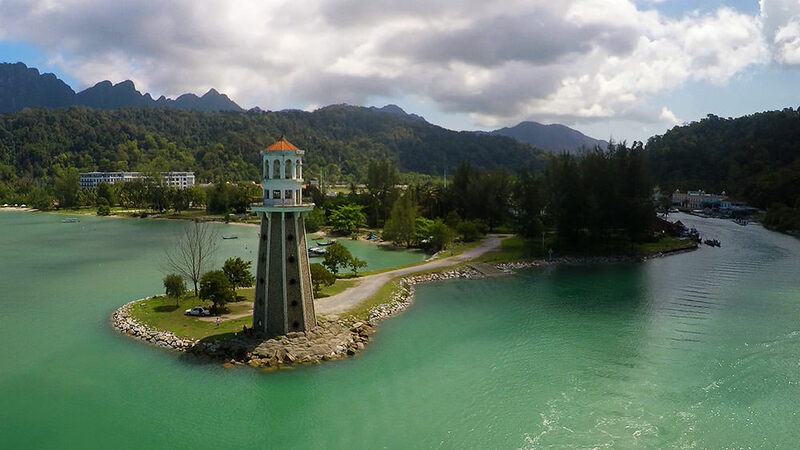 In this post, you will learn which drone rules currently apply in Malaysia. Small Unmanned Surveillance Aircraft: Drones that weigh a maximum of 20 kilograms and are equipped with data acquisition devices (such as cameras and microphones). If any of the listed items apply to you, you will need a permit from the Department of Civil Aviation (DCA). The license costs 250 RM. Maximum flight altitude: The maximum permitted height of ascent is at 120 meters (400 feet) in Malaysia. Maximum horizontal distance and FPV: Drone flights are only allowed within the visibility in Malaysia. FPV flights can be carried out under certain conditions by experienced pilots. Compulsory insurance: We recommend you the taking out of an aviation liability insurance for drone operations in Malaysia. Maximum take-off weight (MTOW): An authorization is required from a weight of 20 kilograms. Distance to airports: You have to keep 4,5 kilometers (3 miles) distance to airports and heliports. Other safe distances: A distance of 50 meters shall be maintained to other persons, vehicles, boats, and buildings. Flight bans: Drone flights are not allowed near crowds (more than 1.000 persons). Flight approval: To obtain a flight permit, you have to submit some documents. Amongst other things, you need training evidence and the declaration of consent of the landowners. Time of operations: Generally, flights are only permitted in daylight. Regulations for commercial pilots: Commercial flights must be approved by the Department of Civil Aviation. The permit costs 800 RM for the first year. The extension of the license costs 500 RM per year. 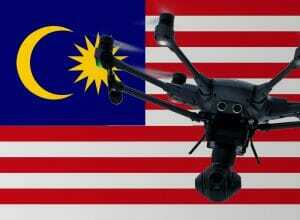 We have researched the listed drone regulations for Malaysia to the best of our knowledge. We can not guarantee the correctness of the information. If you want to be on the safe side, please contact the competent aviation authority. Alternatively, you can also ask the embassy in your country for further information about the regulations. Please leave us a comment when you receive news and/or gain experience with your copter in Malaysia! Just an update on the Malaysia part. I have just received an email from DCA Captain. You do not need license to operate small UAV for leisure but you do need approval from DCA to use UAV for commercial reason in Malaysia or if you have camera attach to it. I doubt that the custom will confiscate the equipment if you are transiting but I could be wrong if the custom has some other requirements that I am aware of. Now, from the Malaysia customs. Thank you for using Customs Call Centre service. For your information, bringing drone into Malaysia is not listed under a prohibited item. Therefore, we have no restriction on your inquiry. Perfect! 🙂 We have flown several times to Malaysia and had no problems. Hello I’m flying to Bali via Malaysia from London will I have problems carrying my Mavic pro on board?? Can I take a drone Mavic DJI into Malaysia? Regulations are not a bad thing, just need to be clearly defined. I facing flying distance limit problem, height limit at 30m, distance 30m. -flied in A mode also have same issue. -Fly in simulation also face same problem. -Fly far away from restriction area also facing same problem. Their info about Drone regulation in Malaysia aren’t clear enough. They could be very helpful if their website and information be updated so that we able and get a clear guides what we should do. I registered my when I was in US (under FAA regulation), the FAA info are way too helpful and we can even do it online registration. It makes life easy to fly our drones there. I just was talking with a man who usually does it here. He said that you need a license. I bought Mavic Pro 2 weeks ago in China and I can’t use it anywhere. I have recently bought a GoPro Karma drone and will be doing some travelling in the next few weeks. I will be visiting Malaysia, Australia and South Korea (transiting through Dubai) and wondered if you have ever had any problems carrying your drone through security and customs? From what I can read the drone laws are fairly similar – keep your drone within sight, don’t fly near restricted air spaces and don’t film people without consent but I’m just panicking that for whatever reason I may have difficulty at customs. Any advice? Thanks! I flew my Mavic Pro in Ho Chi Minh and well it never came back. Fly in the country. Don’t fly in cities. Airports are usually good through customs. I’ve heard of people getting them confiscated and denang airport but all the other ones in Vietnam and Malaysia were fine. No, we never had any problem during our travels. Have a nice trip! We bought a Drone Mavic Air yesterday from Malaysia. It’s is under 20kg category . Just wanted to know are we allowed to carry back to India with us ? Also Should we keep it in Check in Baggage or Cabin Bag ? Can u please let us know what did u do with ur drone on way back to india? Did customs allow u in india ? May I know if i am allowed to bring Drone (Mavic Air) to Maldives for vacation? Will there be any difficulties when go out or come back to Malaysia? just place ur batteries in ur hand carry bag…DO NOT CHECK IN ANY BATTERIES EVEN CONTROLLER…u will be fine to be OUT and IN of Malaysia but also depends on the Air Carrier …better ring up the AC company u are going to take to make sure…cos some restrict certain aH and quantity of batteries u can bring….. I looked at the same post. Right now I am in Malaysia, KL and just come back from Beautiful Malaka. I found as long as you carry the drone batteries in a Lipo safe bag (can buy in amazon) you should be fine. It basically reduces/seals the explosion/fire in the bag. This is probably never going to happen however it is for safety. Don’t however carry them in hand luggage. And also don’t declare them especially if you go to a country with a suspicion of corruption. This happened to me in India but luckily I knew the boss of security at The airport. They may conviscate it, or ask for money. Just be careful. And also when flying drone if a policeman or security personnel comes up to you just play it cool. Don’t look them in the eyes and immediately land the drone. And then if he/she starts to try and grab the drone just run. Of if you are surrounded just be sensible and give it up. Do you also have a DJi spark or weightless drone? Maybe MA is strict with heavy drones or something..
It’s actually good to have regulations. Atleast they can help your privacy a little. This is a post at the 23th of May. I really don’t like this new post. Is there anyone with experiences after this date with travelling a drone with MA? Yes. I flew with British Airways. But if you carry in a LIPO safe bag (can buy on amazon or drone sites) for the Lipo batteries. You should be fine. There is no need to declare it and if you do they then might convoscate it. Any more questions reply here. Petronas Towers is one of the hot spot for many Pro Base Jumping unfortunately but no one has done with drone yet. Tho there’s some laws regarding drones here, but regulations is not that tight yet. So if anyone flew-in with drones it will be allowed, no confiscation at the airport whatsoever, no worries..
but every drone flyer must comply to the conditions as mentioned above in the tread. May I know if i am allowed to bring Drone (Mavic Air) to Japan (Tokyo) for vacation? Will there be any difficulties when go out or come back to Malaysia? Can drone carry on the flight in Malaysia?